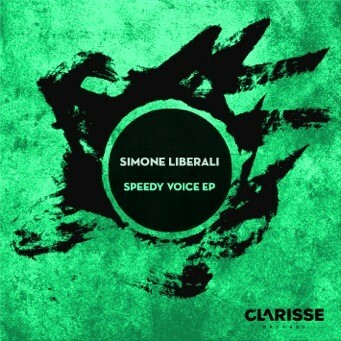 Making his second appearance on Clarisse, Italian Simone Liberali brings a brand new three-tracker to the label, which has already seen support from Marco Carola, Detlef, Paco Osuna, Shawncey and more. The all-action, funky house sound of the title track, ‘Speedy Voice’ is laced into by a searing ‘Strange World’-style breakdown. ‘Don’t Look Back’ is a Clarisse classic of kicking deep house, driven by another of Liberali’s bass pendulums. Finishing things off with an urgency that continues on an upward curve, no further encouragement is needed once the needle finds the groove of the tracky old school house bassline that is ‘Brusco’, it's vocal snippets cheering on a sprinting Liberali into a calculated breakdown, giving you a bit of breathing space before the bouji boogying continues. Known for his tech house, you will find Simone’s productions on labels from Leftwing & Kody's Lost imprint to Pirupa's D-Floor - and now revisiting Mendo's Clarisse Records, Liberali holds nothing back with this EP.